Proform chrome heater take off pipes. 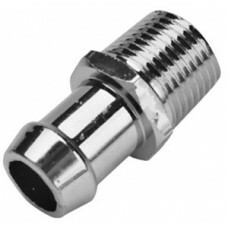 Allows easy connection of heater hoses to water pump and intake manifold on V8 engines with 1/2" NPT screw in fittings (e.g. Small Block Chevrolet).